There are few watches as widely known and well respected as the Omega Speedmaster. 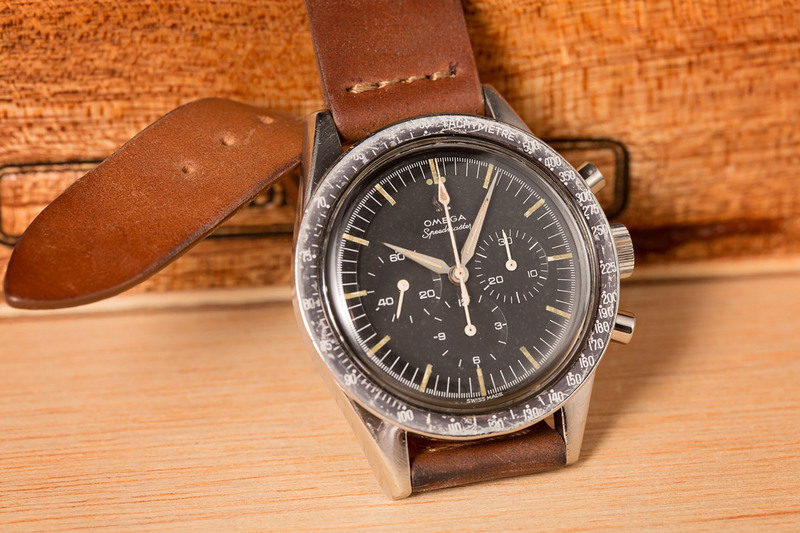 First introduced in 1957, Omega’s Speedmaster chronograph is credited as being the only piece of equipment used in all of NASA’s piloted space missions, from Gemini to the current International Space Station Program. This week, we take a closer look at an early iteration of Omega’s legendary chronograph: the Omega Speedmaster 2998-6. The Omega Speedmaster 2998-6 has made it to the moon and back. Although there are several watches throughout history that have been approved by NASA for space flight, the Speedmaster remains the only one that is also qualified for use outside of a spacecraft and beyond the Earth’s atmosphere. There have been countless variations of the Speedmaster released throughout its six-decade long production run; with certain vintage references attaining stratospheric levels of collectability. 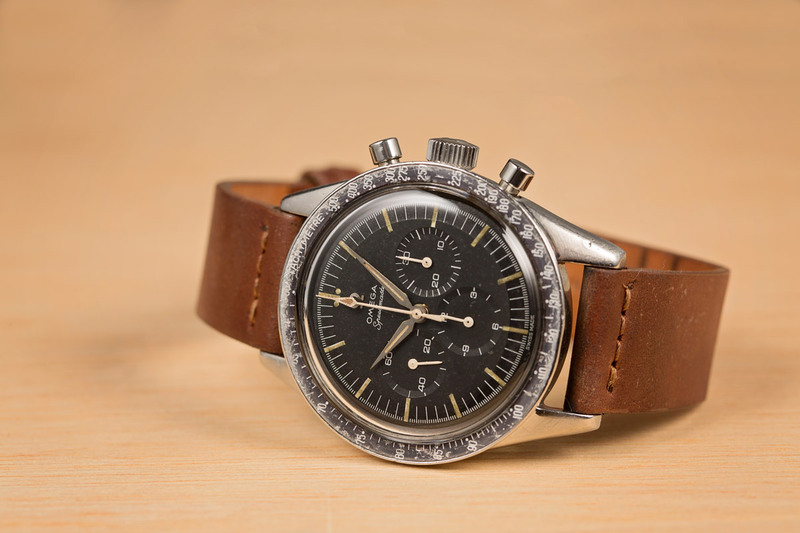 The Speedmaster has experienced a generous 60 years of production. 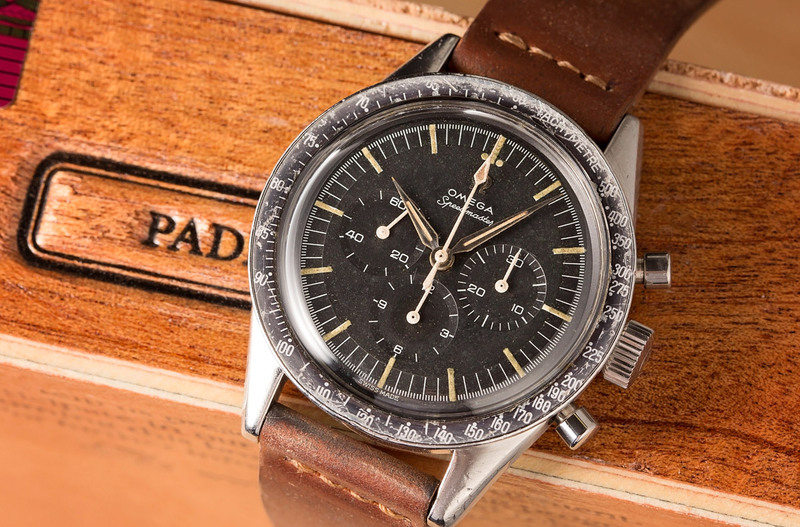 Among the various iterations of the Speedmaster, the reference 2998 is one of the oldest and most collectable. With a relatively short production run that lasted from 1959 until 1962, the reference 2998 was produced with eight sub-references, each with their own list of subtle differences and variations. The Caliber 321 was used for this Omega Speedmaster 2998-6. Like all other reference 2998 Speedmaster watches, the reference 2998-6 is powered by Omega’s hand-wound, Caliber 321 movement. 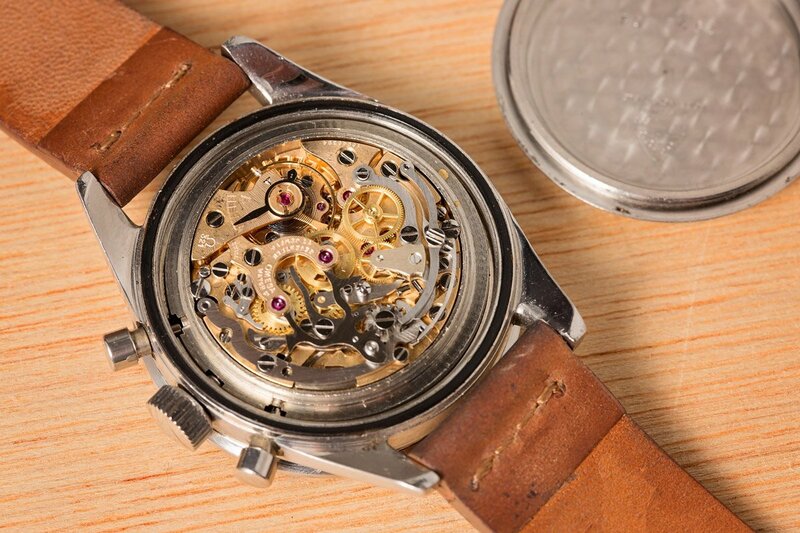 With an earlier and more limited production than the subsequent Caliber 861 and Caliber 1861 movements, the Caliber 321 movement and the early reference 2998 Speedmaster watches that contain it, are often considered the rarest and highly sought-after among collectors today. The Omega Speedmaster 2998-6 requires the user to manually wind the watch. One of the defining characteristics of the reference 2998 Speedmaster is its 39 mm diameter case with straight lugs. 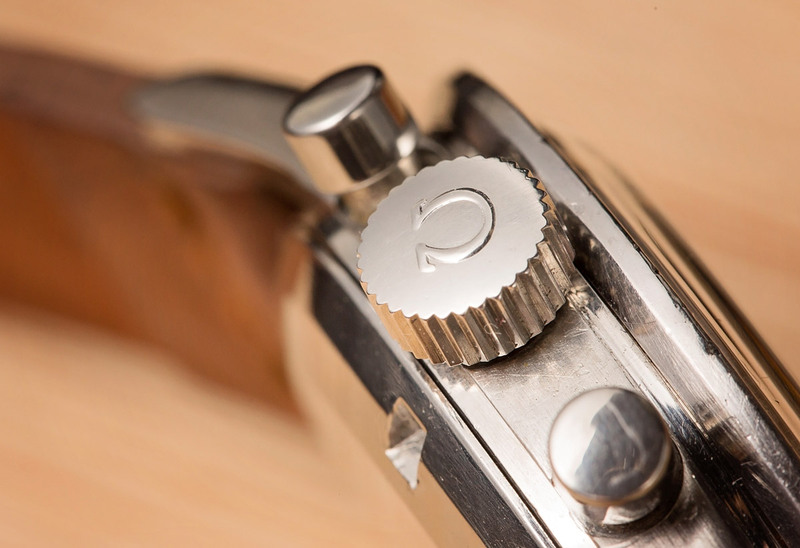 Most contemporary Speedmaster references feature Omega’s signature, twisted lugs; however the earliest iterations of the Speedmaster, such as the reference 2998, had cases with straight lugs. This feature combined with its smaller case diameter and “Base 500” bezel with dot over 90 (often abbreviated as DO90 or DON), makes for an unmistakably vintage appearance. 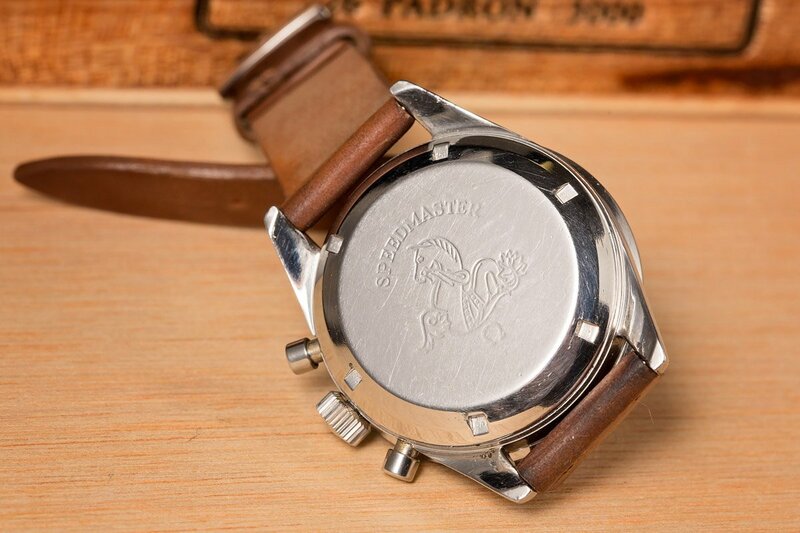 The caseback of the Speedmaster reads “Speedmaster” with their signature image. Additionally, unlike contemporary Speedmaster watches like the #SpeedyTuesday edition, the reference 2998 was fitted with triangular, “Alpha” hands. The very earliest sub-references of the 2998 had Alpha hands for both the central time display and for the chronograph sub-dials. However, by the time Omega released the reference 2998-6, only the central hour and minute hands were of the Alpha design; the chronograph sub-dials got fitted with straight hands, while the central seconds hand received Omega’s ”Spear” style chronograph hand. The hands are also something that has changed over time. Due to their age and limited production run, surviving examples of the reference 2998 Speedmaster have become quite rare and valuable today. Even more rare, are reference 2998s that have managed to endure all these years while retaining all of their original parts. The Omega Speedmaster is among the most iconic and well-respected watches in the entire world, and the reference 2998-6 and the other sub-references that make up the reference 2998 family are some some of the most collectable and highly sought after watches today.